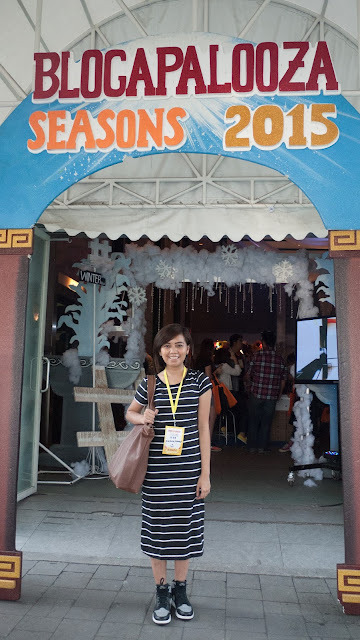 It was my first time attending a Blogapalooza event. A day of the year reserved for the grandest and biggest Business to Blogger (B2B) event. 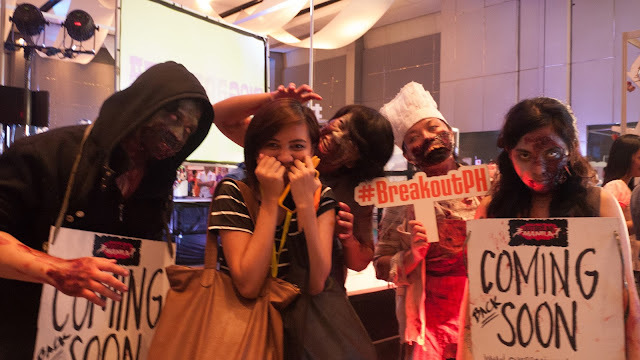 It was held in One Esplanade, Pasay last October 26. 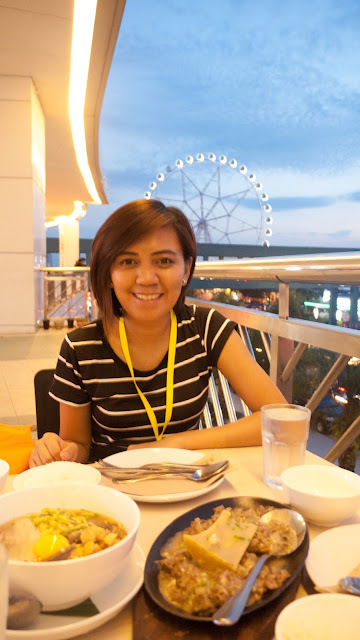 I went to the event with my ever supportive sister who photographed me and the happening. 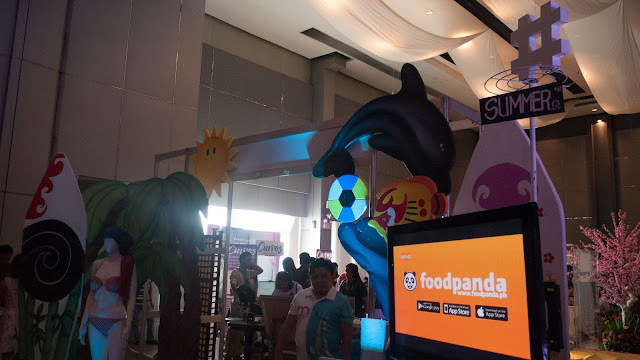 The event is from 10am-6pm and booths from different brands (small to well-known) lined up and waiting to be visited by excited bloggers like me. 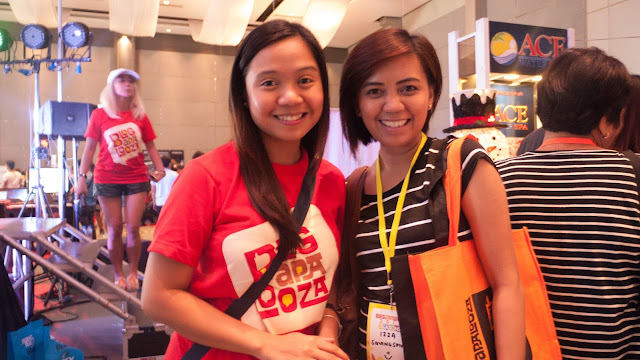 The aim of Blogapalooza is to connect businesses with bloggers and vice versa. It was a great opportunity for me and SavingsPinay as well as my personal blog, IzzaGlino. Blogamomma Ms. Ace Gapuz, headed the marketing team and the planning of how the event will be executed. I had known Ms. 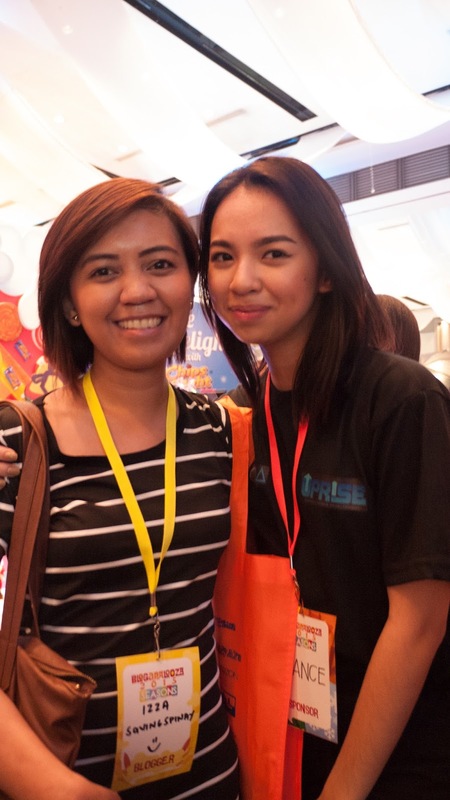 Ace from the Law of Leverage Freedom Event last January and the hosting stint she gave me last September for Emporia. 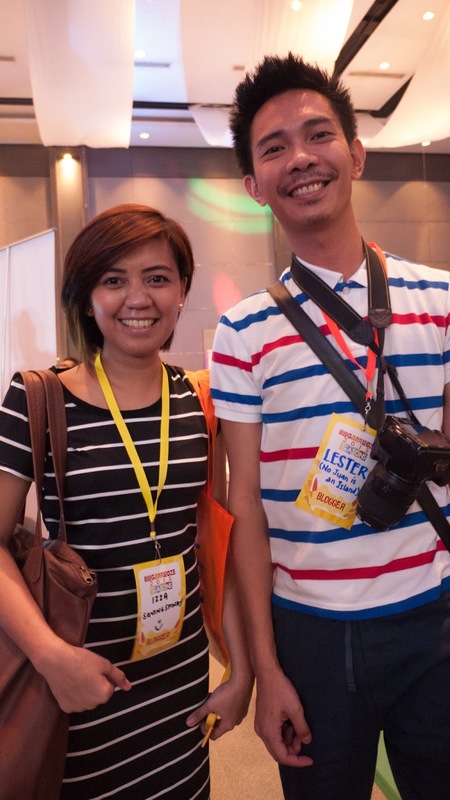 Mr. Vince Golangco of When In Manila also welcomed about 600 bloggers and their plus 1's during the kick-off of the event. Aside from booth visits, Blogapalooza also have line up programs where known people give their blogging and branding tips. 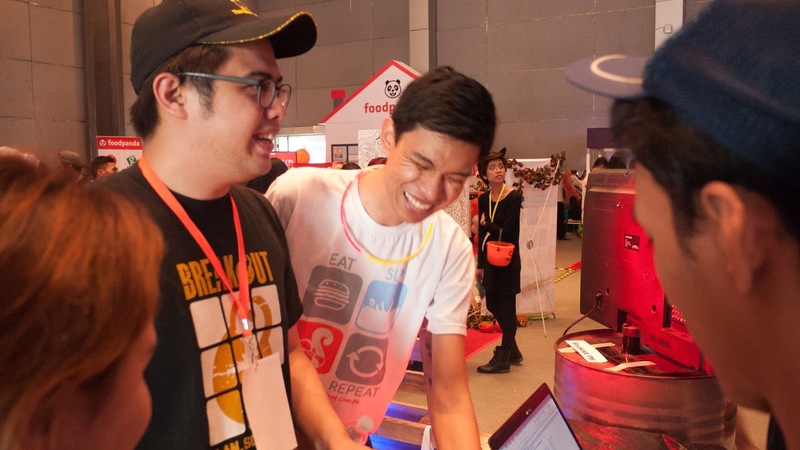 The event is of course highlighted the bloggers and businesses being able to spend time making a connection. 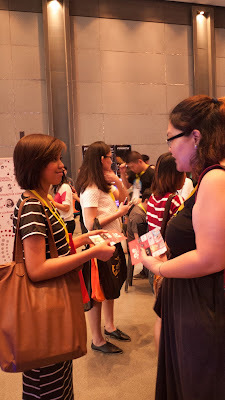 You don't just go there for the freebie but to really get to know the company/brand behind the product or services. I love how well-rounded the businesses/brands were this year. There were booths from from food, beauty and wellness, travel, finance, hotels and even apps. I can't wait to tell you more about the booths I visited. This was the very first booth I visited. Eagle's Wings Enterprises is a one-stop gift source for your promotional and corporate giveaways. 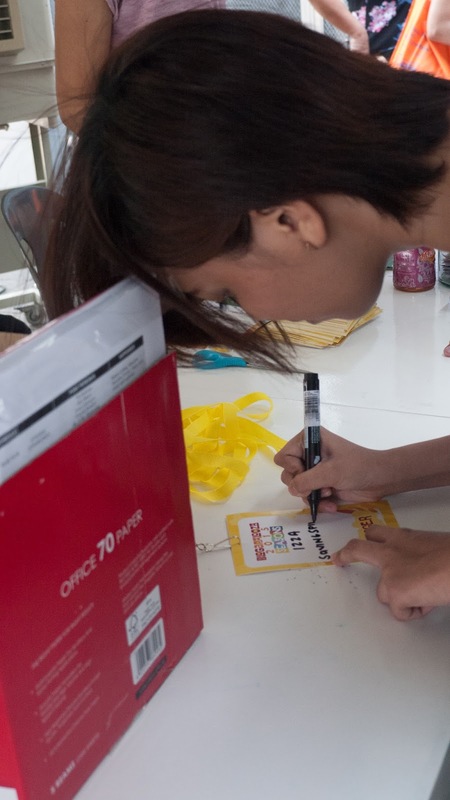 They deliver customized and personalized items for clients to get noticed. 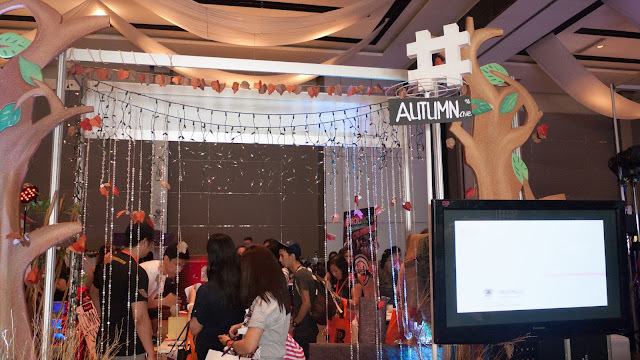 Their products include Christmas and seasonal products, electronic premiums, watches and clocks, customized USB, gift boxes, travel mugs, bags, caps and more. I always see JB Music on malls but I haven't been able to connect with the brand. Thank you to Blogapalooza for making it happen. JB Music is known as the home for musical instruments. 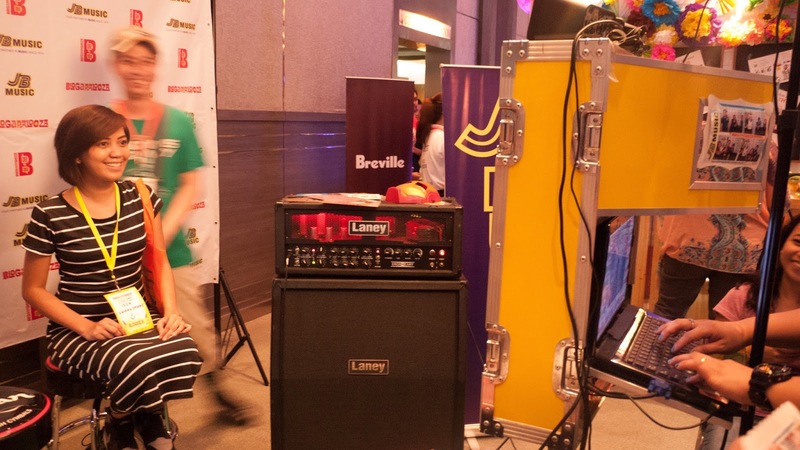 You get a lot of choices that shouts quality and music lovers will find the place as a safe haven. 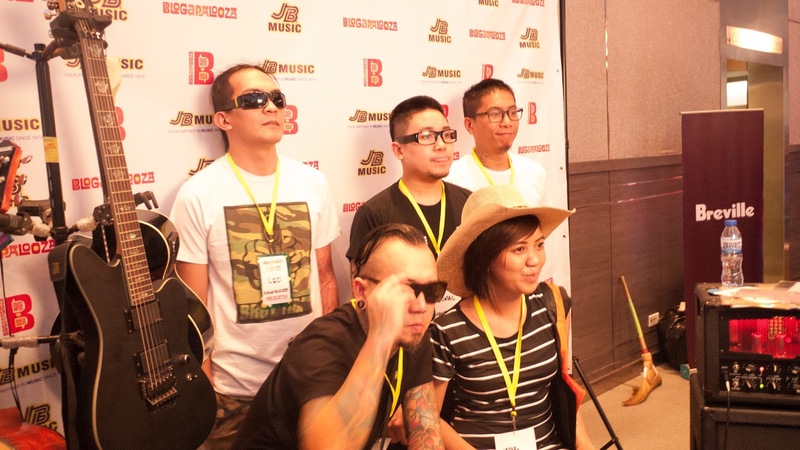 We were able to have a meet and greet with Kamikazee (they have bands for an hour come to the photobooth area: Rivermaya, Kamikazee, Ebe and Urbandub among the list) which was of course a nice way to start the event. Loving The Giff booth. Ang ganda ng mga cases. Who would want customized phone cases for their beloved smart phones?! The Diff offers that and more. The Diff believes in the importance of self-expression and empower everyone to let their true self shine. How The Diff works? Simple. You just pick a type of case (matte, gloss, clear etc. ), upload any image you want to put on your custom case, pay for it via bank deposits or major credit cards and wait for your personalized phone case to be delivered. Now that's something. With the beautiful CEO of Emporia. I was there when Emporia launched last September and I am very much thankful I got to be reunited with none other than gorgeous CEO France Flores. 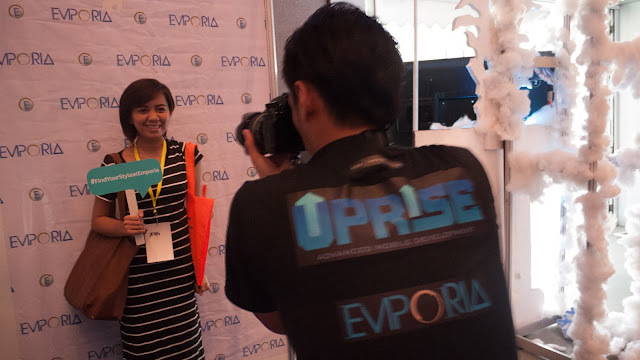 Emporia features several small to medium entrepreneurs selling their products through one powerful app. I will talk more about Emporia in another post. 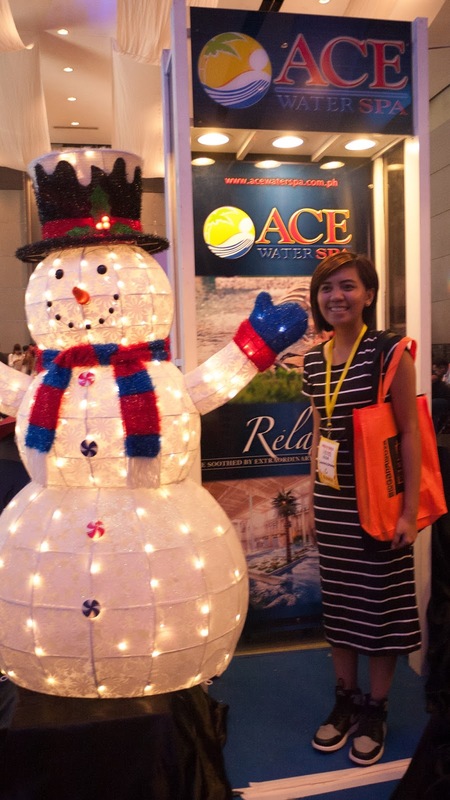 I've known Ace Water Spa because of their extraordinary swimming experience. It is a facility for great peasure whether solo or with your companion. I also found out (thanks to the event) that Ace Water Spa has its very own hotel and suites to which I am so excited to try out. I actually got a gift certificate from the people behind Ace Water Spa. PS. 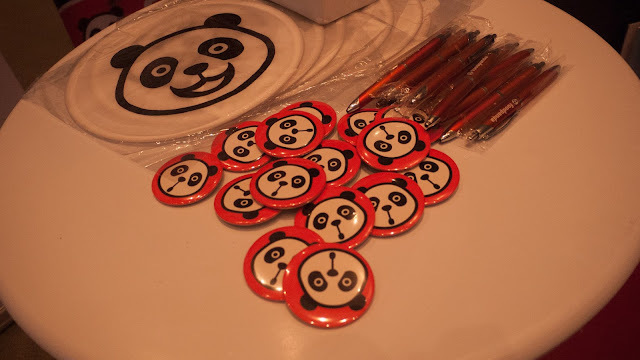 They also gave an awesome loot bags for bloggers which is a plus points for me. 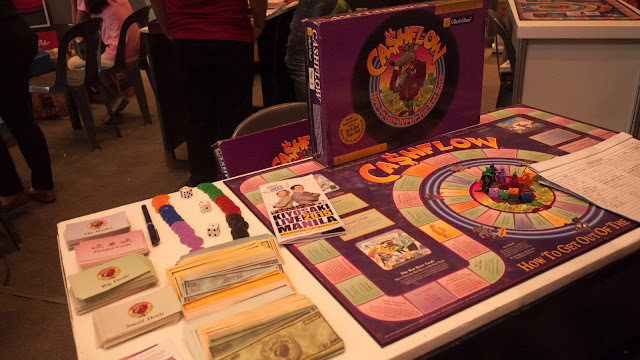 My sister is far more better than me when it comes to games so for booths that have games in order for you to win a prize I just let her enjoy and have fun. Flawless is a well known beauty and wellness brand and their "pakulo" is sort of a mini gold. 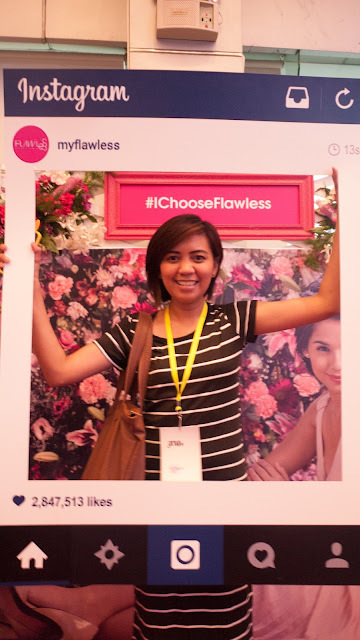 Sadly my sister didn't win but then I got to bring home 500pesos discount voucher from Flawless. Food Panda is a food delivery in the Philippines. It offers fast delivery from over 3000 restaurants available. My sister and I played a Guess the Word Game and it was so much fun. We guessed two out of the five words given and we chose an umbrella as prize. I swear this man is awesome. 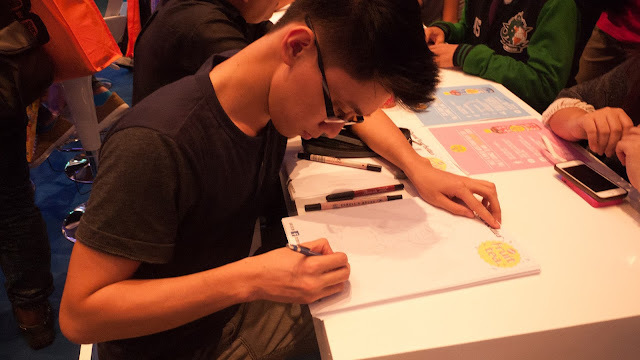 He draws straight at walang lapis-lapis na kailangan! Sosro Fruit Tea was the busiest booth at the event. They had a photobooth service, they gave free samples of their fruit tea and their other product, Luwak White Koffie. Me and my sister love the fruit tea by the way. I got Apple and my sister got the strawberry. It wasn't too sweet and the really quench your thirst. This is the most memorable booth for me because of two reasons. 1. Snipe is created by Filipino geniuses. It is a location-based shopping application that lets you discover deals and bargains inside the mall you're in. The makers of this app are young, bright and talented individual which just speaks awesomeness for me. (Will post a separate article for Snipe soon). 2. My sister got the major prize in their booth game which feels so good. We brought home a big huggable neon pink teddy bear. What a cool way to wrap up my first ever Blogapalooza experience. Chemworld is a one stop shop for perfumery supplies. If ever you decide to start your own perfumery business then Chemworld Fragrance Factory is the business for you. They offer supplies and seminars to get you started in the business of perfume-making. 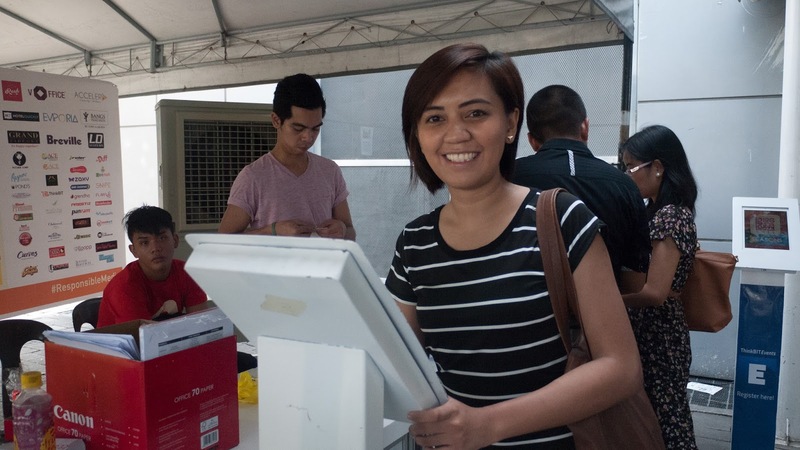 All it takes is 3,500pesos to have a starter kit and you can now enjoy a new means of extra income. Their main building is at Executive Building Gil Puyat Ave, Cor. Makati Avenue where they conduct seminars. You how much I love Lulur and thank God they were present during this event. I got a full tab of Asian Secrets Lulur Indonesian Whitening Body Scrub with Seaweed Extract and Vitamin E. I also got a Pure N' Fresh Feminine Wash which is my first time to try. 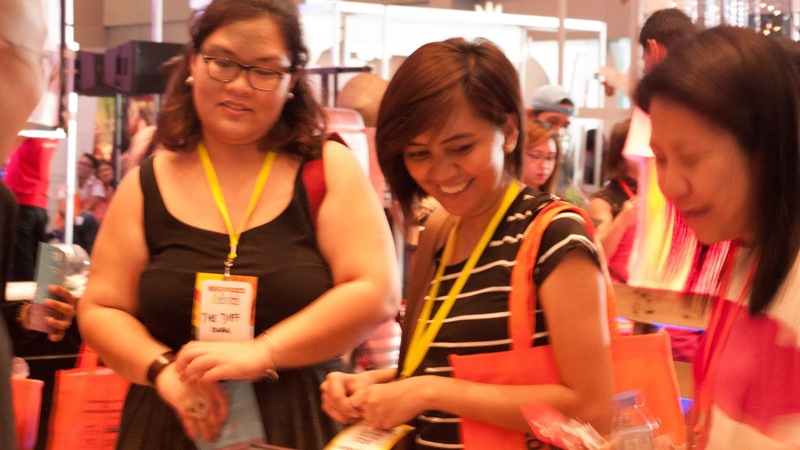 I love Chips Delight so visiting their booth during the event is a must for me. I got a chance to take home their newest product which is the Triple Chocolate Overload Cookies. Oh my these cookies tastes so good I have to buy another pack myself. They also have a contest open for bloggers. You have to write something about the heavenly product and win called Best Chips Delight Blog Writing Contest. And I'd love to join! This is an app made and created for travel enthusiasts and since its the side of me I've been wanting to nurture for the past couple of years I am so happy and proud to have learned something about Hotel Quickly. It is a last-minute hotel booking app that saves travelers time and money by offering deals at the best hotels in Asia-Pacific. All you have to do is download the app and make a reservation. 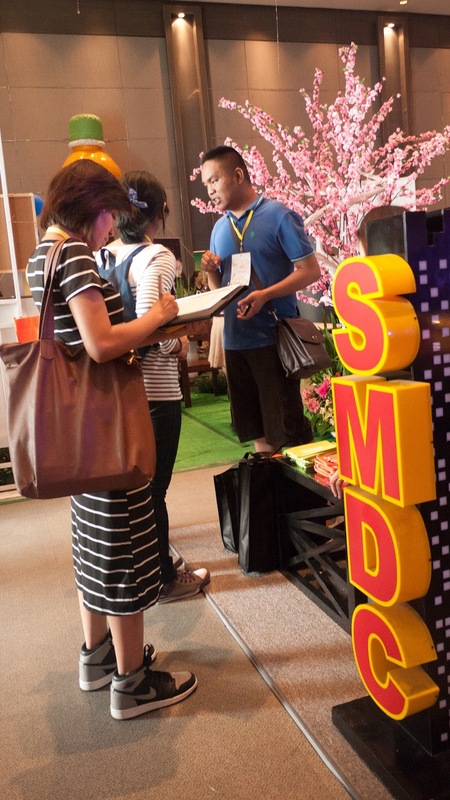 There was a section for financial management brands. Nice! Being able to attend this event is such an honor. 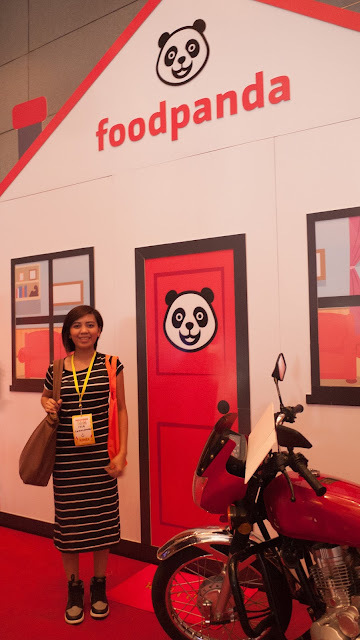 I love the chance I got to meet amazing brands and the people behind them. I got a chance to talk to some bloggers I love and I adore and actually meet and greet personalities I know I wouldn't have a chance ever. If only the internet connection was great would I the event is 10 out of 10. But, because of the slow internet I wasn't able to download the apps, post live feeds on my Facebook Page and even on my Instagram. Thanks to my sister's personal data I got the Ace Water Spa post uploaded. With that being said, I believe the 2015 Blogapalooza is a success. I congratulate Ms. 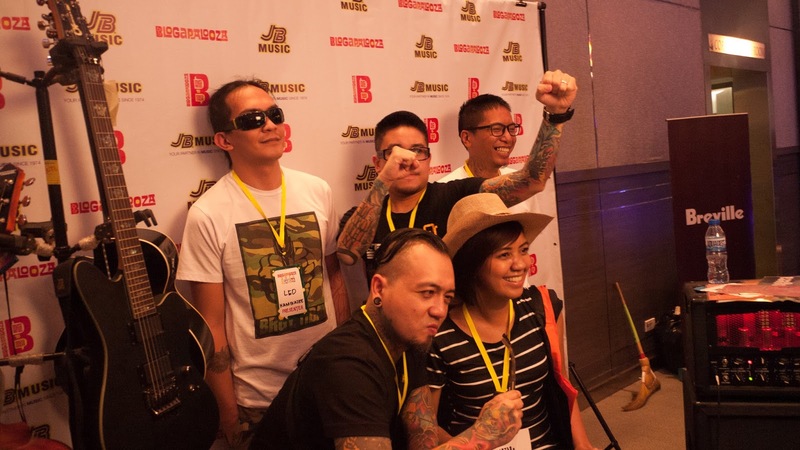 Ace and the rest of the team who made this event possible. 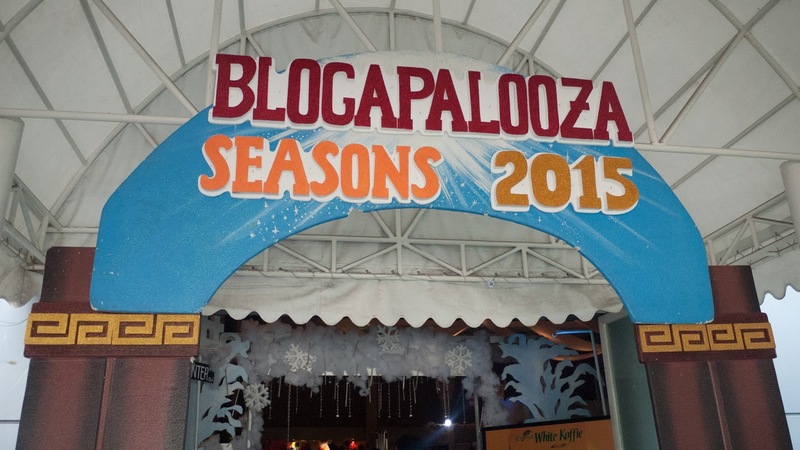 I hope to be able to attend next years Blogapalooza!!! After the event me and my sister decided to grab some dinner. 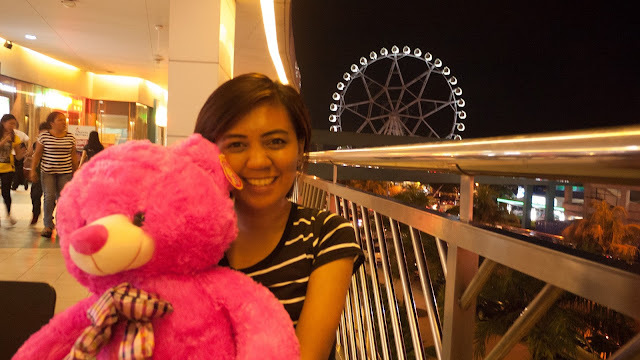 We went to SM Mall of Asia since it is the nearest mall. 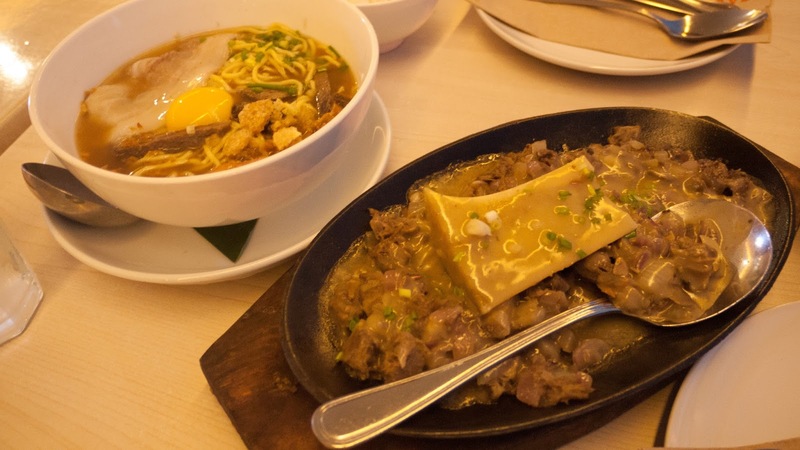 My sister wanted to taste something new and so upon seeing Sarsa we knew its the right restaurant to satisfy our gastronomic cravings. We also had time to take some more photos and talk about how the event went. Oily Face with the major prize we got. 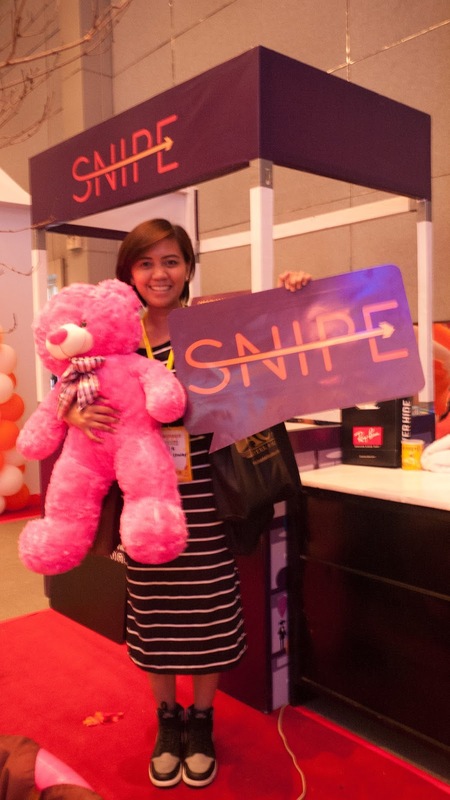 Thanks Snipe.ph!! !